There are a few things we British find synonymous with spring – lighter evenings, lambs running through the fields, the drenching of an April shower – and of course, the spring clean. There is nothing more satisfying than a thorough spring clean – it’s a time when we open wide the windows, letting the warm sunshine and fresh air blow away the dregs of the winter; when we delve deep into cupboards and sort through the unnecessary clutter; when we chase spiders and cobwebs out and put a shine on all the woodwork. 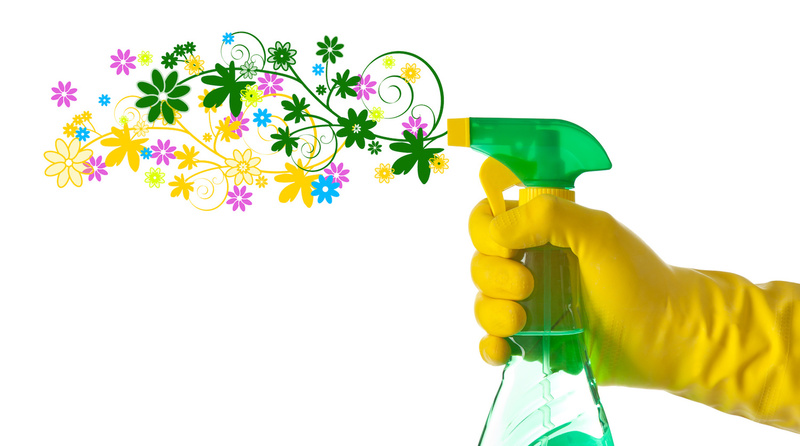 The spring clean is a tradition that goes back hundreds of years – possibly even to ancient Egyptian times if Wikipedia is to be believed! However, modern day living has brought with it some unique challenges. It’s a fact that in today’s consumer lifestyle we have more stuff – more clothes, more sports gear, more gym equipment, more hobbies, more possessions and so on. It’s also true that modern homes are getting more compact and – as anyone who has been house hunting recently can attest – are seriously lacking in storage. In times gone by we would have just heaved all of that extra clutter up into the attic space. But who has attic space anymore? That’s already been converted into an extra bedroom. The rest would be squashed into the garage, carefully stacked and balanced to avoid the car. Except – we don’t really keep cars in the garage anymore, if you even have a garage, because it’s already been adapted into an extended kitchen. That’s where your local self-storage heroes leap to your rescue. Indoor self-storage is a rapidly growing industry in the UK, as we discover the advantages to having additional storage units to keep all of our less used, bulkier possessions. As you root through the cupboards and prepare for the beautiful months of sunshine ahead, sort all of your thick winter clothing into boxes. This will leave more space in the wardrobe for your summer wear – with air to let the fabrics breath. You’ll soon discover piles of memorabilia – the children’s school reports and certificates, medals and trophies, that they no longer want to display, but you can’t bear to bin. Not to mention the stack of exercise equipment – stepping machines, thigh trainers, weights and running machines – that you currently use as a rather expensive clothes dryer. It’s time to take all of your “I’ll use it one day” belongings and place them in self-storage. There’s no need to pay for unused space – there are a choice of storage unit sizes so you only rent what you need. Everything is packed away, safe, dry and secure, until you need it. Your self-storage hero from Cookes Storage will even come and collect it for you, so there’s no excuse not to get that clutter cleared. And as you put the final polish on the shelves and rub the last smear from the windows, you can relax in your spacious, freshly cleaned home, ready to enjoy the rest of spring.